Joel Englander is currently a second-year MBA candidate at Wharton majoring in Entrepreneurial Management, Marketing, and Operations. Joel is also the co-founder the student-run angel investing group called “Wharton Angels.” After Wharton, Joel will be starting as an early-stage venture capitalist at Blumberg Captial. At school, Joel is a leader of Wharton Venture Partners and a founder of Wharton Angels. Joel also maintains his position as founder of PEER Capital where he runs a micro fund investing solely in P2P Lending Club notes. 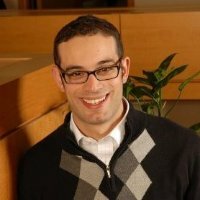 Joel was also previously an Associate at Redpoint Ventures, the Head of Strategy at AcademixDirect, and an Associate at Arbor Advisors. In his free time, Joel advises and invests in early-stage startups including Runnable, Naturebox, Scal.io, and BugCrowd. Joel attended Stanford University, where he majored in Symbolic Systems, graduated with distinction and was elected to Phi Beta Kappa. He was also chosen by a U.S. presidential committee to serve as a Presidential Scholar. Joel has the “travel bug” and leaves the country for short “treks” whenever time allows. When he is not traveling, he can be found tinkering with the latest emerging technologies. The Wharton Private Equity & Venture Capital Association’s Fellowship is awarded only to the top newly admitted Wharton student/s from the private equity/venture industry each year. Wharton PE&VC Association is the alumni organization for the roughly 3,000 Wharton and UPENN alumni working in the private equity industry world wide. The Wharton PE&VC Fellowship has been established by the Wharton PE&VC Executive Committee to encourage and support leadership among Wharton alumni in the top ranks of private equity firms around the globe. The Fellow becomes a "charter" member of Wharton PE&VC Association and is eligible to attend member-only programs and dinners held by the club and its leadership and to be mentored by a member of the WPEP Board member during their time as a Fellow. The Fellow also receives assistance with his/her summer and permanent job search within the private equity/VC industry from our leadership. The Fellowship includes a $5,000 grant.